As today's businesses face greater regulatory pressure to safeguard data and provide proper documentation of internal procedures for handling sensitive data, companies must also weigh how their third-party providers will manage information. Many regulatory laws mandate that businesses will be held responsible if a vendor they partner with experiences a data breach involving their data. This creates an operational environment where transparency and formal, third-party auditing is key in the service provider industry. With this framework in mind, Teligistics is happy to announce that we recently underwent a SSAE 16 (SOC 1) Type II audit and passed. 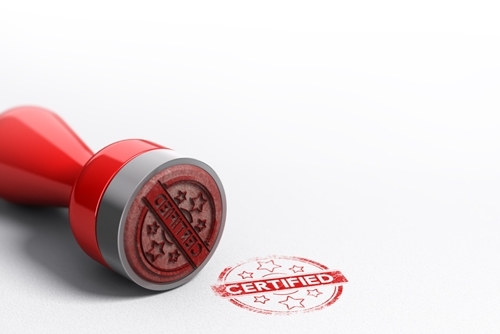 "We recently underwent a SSAE 16 (SOC 1) Type II audit and passed." An evolution of the SAS 70 standard, the SSAE 16 (SOC 1) guidelines cover financial reporting and information handling processes within an organization. In practice, the audit verifies that the business has the necessary controls and procedures in place to properly handle financial information in line with U.S. and international service standards. In its most basic form, a SOC 1 audit involves analyzing the controls as they are designed to ensure they live up to best practices and properly handle key data. This can include analyzing operations pertaining to financial statements, accounting records maintenance, event capture for events or conditions that impact financial statements and even reporting processes. Our audit was officially a Type II audit, which, within the SOC 1 framework, means that the auditors came in and tested our processes and controls over a sufficient period of time to determine their effectiveness. We're excited about this audit because it highlights that our hard work as a telecommunications solution provider is paying off. Our COO, Randy Councill, explained that we believe this will give our clients more confidence, a vision we can easily get behind. "Teligistics is excited to be able to provide our clients with an extra level of confidence that we will do a great job for them with a refined and highly skilled process," said Councill. But why should you have that confidence? We talk a great deal about transparency and visibility within telecom expense and asset management. The key there is to understand exactly what services you are paying for at any given time and be able to refine your strategies in light of that knowledge. We don't want our customers going into their telecommunications deals blind, and this means that we'll end up handling a great deal of sensitive data on your behalf. This audit highlights that we not only have the systems in place to interact with that data, but have demonstrated that our procedures and controls are working. These regulations all fall under the trend of guidelines that expect businesses to work with service providers that have proper internal controls in place, and our audit from a third-party firm serves as proof that we have the necessary controls. To perform this SSAE 16 (SOC 1) Type II audit, we brought in a specialist CPA firm, KikpatrickPrice, that has worked with more than 550 clients. They specialize in security and compliance issues and frequently consult on regulatory laws for a variety of organizations. The actual audit involved them carefully analyzing all the procedures we have surrounding financial reporting and then testing those controls out for a minimum period of six months. "Transparency is central to our business, and this audit is simply a reflection of that goal." ​This audit is just one sign of our committment to excellent customer experiences. Our core goal as a company is to help our clients reduce telecom expenditures through a greater awareness of precisely how they are spending their resources at any given time. With expense management excellence in place, we can assist with sourcing telecom services, inventory management, billing and wireless expense management to provide significant cost savings to customers over time. Transparency is central to our business, and this audit is simply a reflection of that goal. In today's extremely complex technology world, businesses must clearly understand every facet of their IT configuration, even when the services extend beyond their physical walls. Mobile devices, hosted voice and video services, virtual telephony systems and a variety of other technologies can muddle telecom bills to the point that organizations are left scrambling to figure what they can actually support, let alone pay for. We offer the systems organizations need to track resources, billing processes and invoices to ensure they get what they need and aren't paying for anything that isn't valuable to their business. This audit verifies that we can do all of this while keeping client financial information safe and within regulations for proper accounting procedures.